Hey y'all! I hope your week is off to a great start! Today is my youngest daughter's fifth birthday! I cannot believe that my baby is already five. Olivia is the sweetest and silliest little girl in the whole world. You can't be around her without her making you smile! Happy Birthday, Livi! Today, I am remixing some of my pieces from the BohoBlu spring collection to show you just how versatile they can be. I first wore this cardigan and tee in this post back in April. That look was perfect for springtime temperatures. Today's remix of that tee and cardigan is a look that is definitely summertime ready which is perfect because it already feels like summer in NC this week! This Shanti Cardigan is definitely my favorite piece from the spring collection! The colors are gorgeous and the cardigan works so well with so many different outfits. I have worn this cardigan with a swing dress to church and over my work t-shirt. I also plan to use it as a swimsuit cover up this summer. How cute would it be over a black suit?! I styled the cardigan with the Caryn Tulip Front Top. This basic black tee is taken to a new level with the sassy tulip detail. It's perfect with these high waisted shorts to keep the look mom friendly. I paired this cardigan and tee combo with distressed denim shorts, the Fara Choker, a straw tote, flip flops, and my favorite gold hoops. 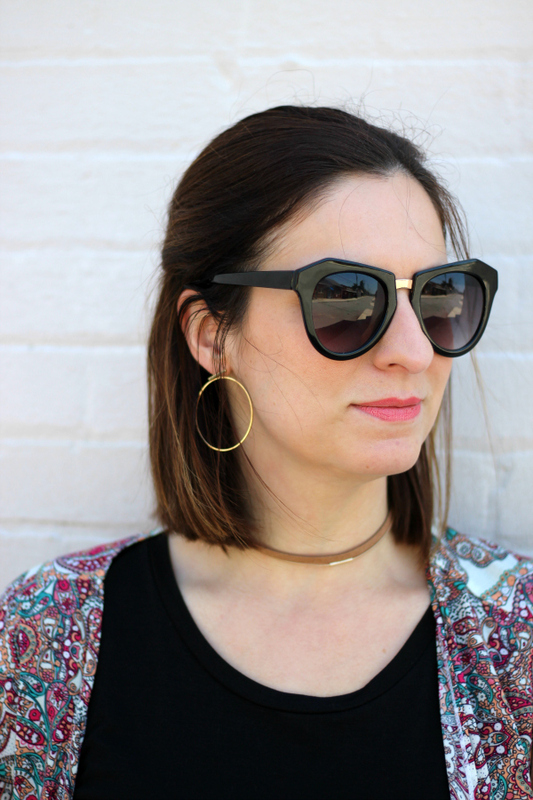 I am loving a long cardigan with shorts for spring and summer! Be sure to use my code emilyxo to save 10% off your order at BohoBlu! Thanks so much for stopping by! Have a great day! Happy birthday to your little one! I love this look! Hope you all have a great day! I love the print on this cardigan!! SO perfect for spring and summer. Happy Birthday to you baby girl! This cardigan is gorgeous! 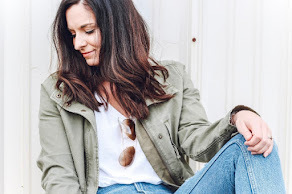 Love having a longer layer in the summer to balance out the proportions - and if you find one that works to create a variety of different looks AND is breathable and lightweight, that's even more exciting! 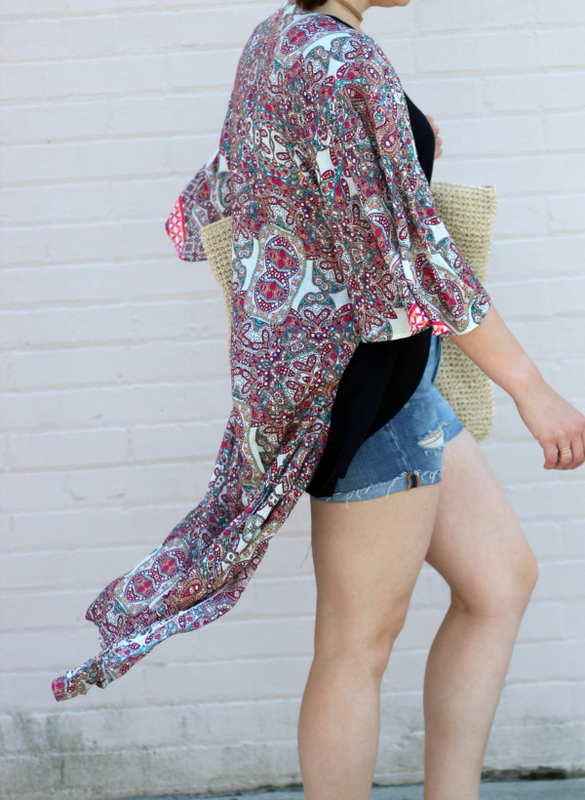 I love long kimonos and this one is so cute!